< Prev Post Federation Follies: Are You Sitting Down? Both Hollywood and the Internet are buzzing with the rumors that Paramount is pushing for JJ Abrams next installment in the Star Trek franchise to be in 3-D. 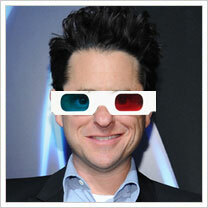 Reportedly, Abrams would consider 3-D if the movie calls for it. Another contributing factor is the fact that George Lucas is re-releasing the Star Wars films in 3D, beginning with Episode I in February 2012. According to What’s Playing, the film is locked for September 2011 to begin production. We’ll have more on this as news becomes available.